Club runner and coach Liam Delany manages Vigor, which provides coaching, regular training sessions, strength and stretch classes, massage and more. 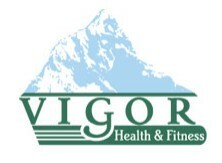 Vigor offers a comprehensive list of services through it’s clinic, group exercise program and events. This holistic approach is unique and proven to be a very successful environment to enjoy a healthy lifestyle. We keep our runners healthy and injury free so Collingwood can maintain its position as one of the best and biggest clubs in the state. We often donate prizes for the club to keep everyone motivated and competitive. The Running Company is not just a running footwear store, we, too, are runners, triathletes and people with a passion for a healthy lifestyle. We are part of the community and pride ourselves on our experience and expertise, but we are not exclusive. The Running Company is for anyone and everyone; whether you’re embarking on multiple marathons or just starting out, our expert advice is given without compromise. Everything The Running Company does is informed by its passion and experience for running – we want you to enjoy this sport, the suffering and rewards as much as we do. The club has been able to gain a much needed boost from a local business which can offer a mutual benefit to members who choose to utilise its services. Tim Saunders is the director and principal physiotherapist at Back in Motion Health Group in Heidelberg Rd, Alphington who is offering a free assessment to any of our members who feel they’re in need of some treatment for that mystery ailment which is inhibiting their performance.